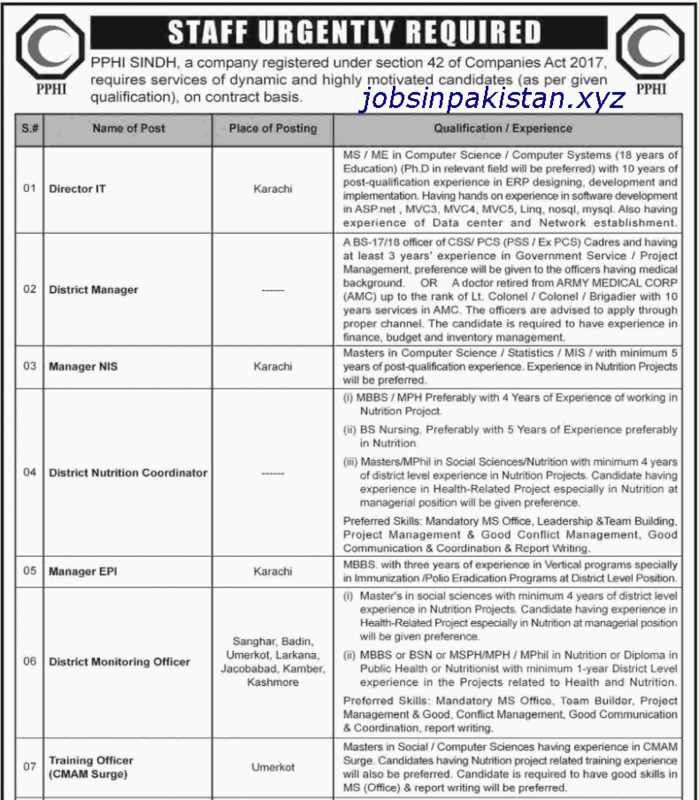 Jobs Description: PPHI Sindh Jobs February 2019 are listed below in our site. PPHI Sindh is a company registered under session 42 of Companies Act 2017. 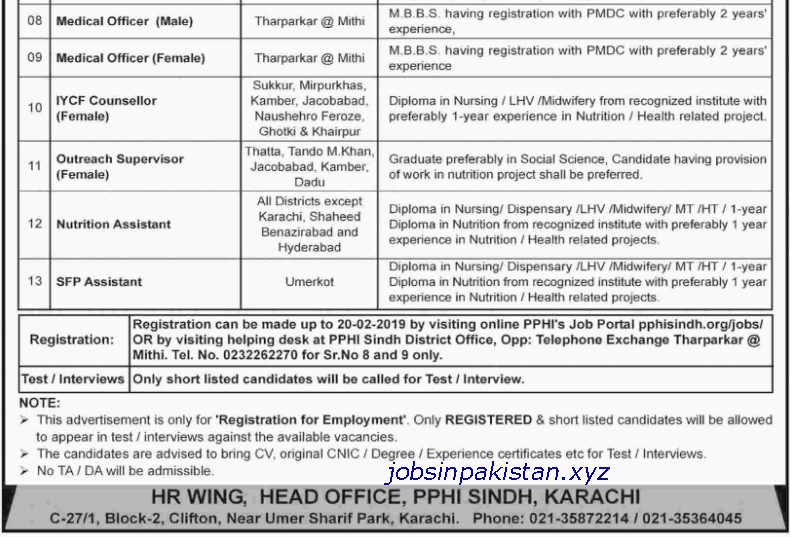 PPHI Sindh recently announced an advertisement for Jobs of Director IT, District Manager, Manager NIS, District Nutrition Coordinator, Manager EPI, District Monitoring Officer, Training Officer (CMAM Surge), Medical Officer, IYCF Counsellor, Outreach Supervisor, Nutrition Assistant, and SFP Assistant. How To Apply: The interested candidates may apply online through PPHI Jobs Portal.